The results are in for the seventh round of APOY. Sandra ten Zijtoff, of Ecuador, is the winner of our Away from home round of APOY 2011. 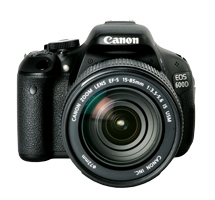 Sandra will receive Canon?s EOS 60D with an EF-S 18-135mm f/3.5-5.6 IS lens worth a total of £1,299.99. With its 18-million-pixel APS-C sensor and standard ISO range of 100-6400, extendable to 12,800, the EOS 60D captures high levels of detail with minimal noise in low-light conditions. A nine-point autofocus (AF) system provides swift and accurate focusing, while the 7.7cm (3in) vari-angle wide LCD monitor offers added flexibility. The EF-S 18-135mm f/3.5-5.6 IS is an ideal general-purpose standard zoom that provides great performance in low-light conditions. Our second-placed winner is Jarrod Castaing, of London, who will receive Canon?s 14.1-million-pixel PowerShot SX30 IS digital compact camera worth £429. With its 24mm ultra-wide, 35x optical zoom lens, the PowerShot SX30 IS provides full manual control, HD movie recording, and many other creative and automatic shooting modes. Matteo Colombo of Italy finished third in the round and wins Canon?s PowerShot SX220 HS digital compact camera worth £269. With its HS system and 28mm 14x optical zoom, the PowerShot SX220 HS records high-quality HD movies with stereo sound. Judges say: ?Sandra?s image of a fisherman was taken on the shores of Lake Atitlan in Guatemala. Sandra has successfully captured the tranquillity of the morning as the fisherman sets out for his daily catch. The choice of viewpoint, well-conceived composition and balanced tonal range make this a clear winner. A great achievement ? well done!? Judges say: ?This mystical-looking image was taken in the Italian Dolomites in north-east Italy. The misty sky, clear water and tranquil reflection create a stand-out image.? Judges say A simple concept, but one that is highly effective. The figure, small in the frame and perfectly positioned in the centre, makes this shot. ?